Transplanter MS-CS contains 18 different essential species of beneficial mycorrhizae that help plant roots; one or more of these amazing spores will help almost every tree, shrub, evergreen or perennial in your garden. Root Rescue products put life back into the soil; restoring and nurturing the natural beneficial soil organisms that plants rely on to find water and nutrients. A healthy soil environment supports plants naturally; reducing or eliminating the need for synthetic fertilizers or chemicals. 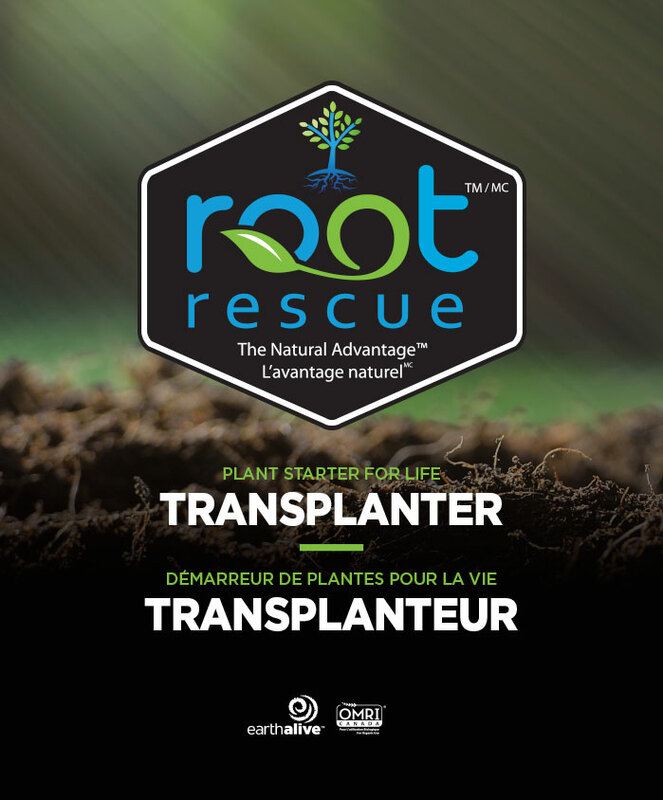 Use Root Rescue's Transplanter MS-CS when you plant new landscape plants. Give them a healthy start – the beneficial soil fungi in Transplanter MS-CS will go to work immediately helping your new plants, and they will stay with your new plant for life. Once and Done. From strawberries to tomatoes to squash and everything in-between Root Rescue will get you the results you want! Whether you use it on your pines, oak, beech or birch, Root Rescue will make them all thrive!